A team of international researchers, led by Colorado State University's Michael Gavin, have taken a first step in answering fundamental questions about human diversity. Humans collectively speak nearly 7,000 languages. But these languages are not spread evenly across the globe. Why do humans speak so many languages, and why are there so many languages in some places and so few in others? In a new study published in Global Ecology and Biogeography, the team was the first to use a form of simulation modeling to study the processes that shape language diversity patterns. Researchers tested the approach in Australia, and the model estimated 406 languages on the continent; the actual number of indigenous languages is 407. The team - which includes linguists, geographers, ecologists, anthropologists and evolutionary biologists based in the United States, Brazil, Germany, Canada, and Sweden - adapted a form of modeling first created by ecologists to study the processes shaping species diversity. The researchers began with a grid on a blank map. 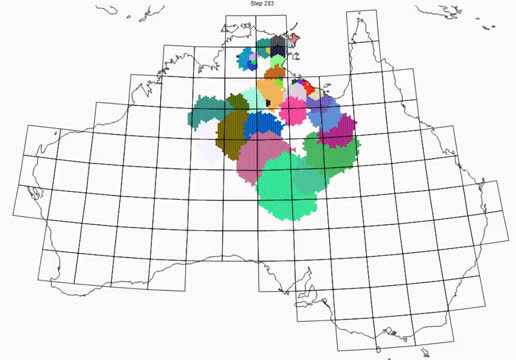 The computer model placed a population of people in one cell on the grid and then used a series of simple rules that defined how the population grew, spread across the map, and divided into separate populations speaking different languages. Gavin, an associate professor in CSU's Department of Human Dimensions of Natural Resources, said that the team started with three very basic assumptions based on untested hypotheses: groups would fill unoccupied spaces, rainfall would limit population density, and groups would divide when the population reached a certain limit. "We wanted to demonstrate how this modeling approach could be used to study aspects of language diversity," said Gavin. "We didn't expect such a simple model to perform very well." But when the team tested this model in Australia, they found strong evidence that the amount of rainfall and limits to group size shaped both the total number of languages and the geographic patterns of language diversity on the continent. 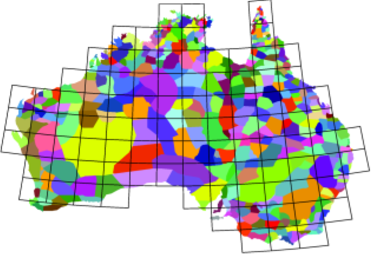 "The results provide us with a better idea of the processes that may have shaped language diversity in Australia, and it also demonstrates a powerful new tool for the study of human diversity," Gavin said. Very little measurable evidence about what contributes to diversity in languages exists. To date, Gavin said, there are fewer than 20 published studies on the topic. Even Charles Darwin, who developed the modern theory of evolution in the mid-1800s, was curious about the factors and processes that create language patterns. "It is absolutely amazing to me that we know so little about what created these patterns of diversity that are so central to humanity," Gavin added. One of the challenges in using the computer model is that the formula used for Australia—including a focus on rainfall—won't work everywhere. But the model provides a starting point for additional research. "There are several things that are unique in Australia, including stark contrasts in the environment," Gavin explained. "In places that have similar environmental patterns and aspects of social organization, we'd predict that we would have a similar result," he said. "This may include parts of Africa, and parts of North America. But we wouldn't predict the same results everywhere. What we have now is a method that can be used to examine how different processes shaped the incredible cultural and linguistic diversity we see across the globe."